A ganache-topped treat that’s worth the trip to the kitchen. It’s midnight and your sweet tooth wakes up begging for a chocolate treat. The solution? 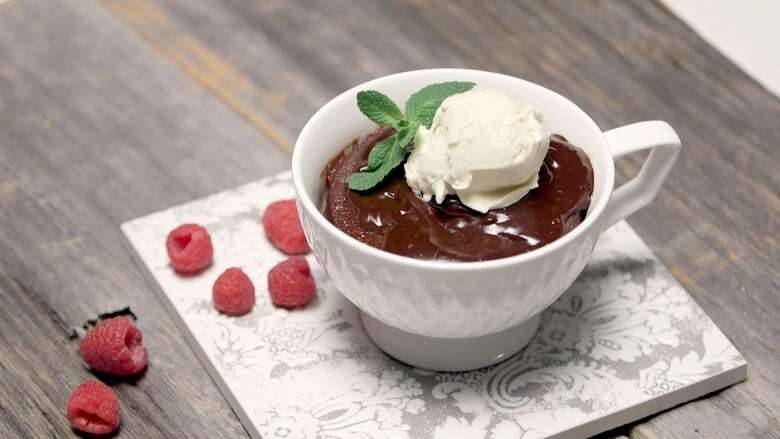 Shahir’s 2 Minute Microwave Chocolate Mug Cake. Made in one bowl and topped with a rich ganache, this midnight snack is irresistible (so you better bring two spoons back to bed with you). Choose a large mug and grease it well with butter or vegetable oil. Sift together flour, white and brown sugar, cocoa powder, salt, and baking powder. Stir in milk, egg, oil and vanilla. Fold in chocolate chips. Fill ⅔ of mug with batter, leaving room for your cake to rise. Microwave on ‘high’ for 2 minutes — don’t peek! For the ganache, combine milk and chocolate chips in a small bowl. Heat in the microwave on ‘high’ in intervals of 20 seconds stirring after each interval until the chocolate chips melt and the consistency is smooth. Pour ganache on top of cake. Sprinkle on coarse salt to taste. Add a scoop of your favourite ice cream, return to bed and be prepared to share.